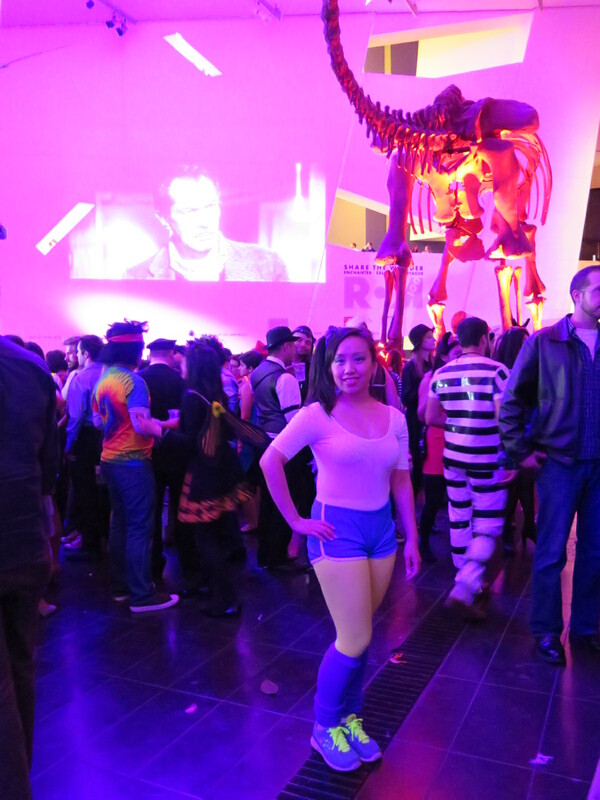 Last friday was Halloween and this year I was invited to go to Friday Night Live at the ROM. 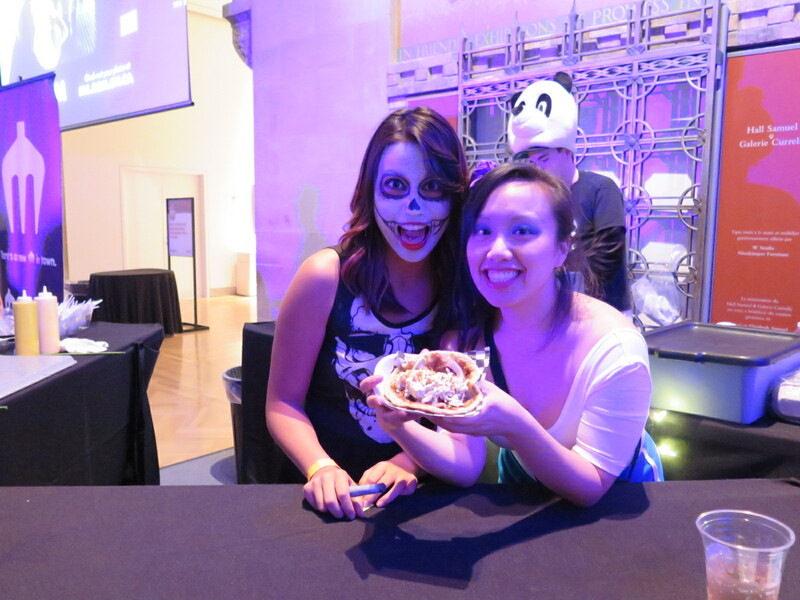 Being at the Musuem at night with food vendors, drinks, people in costumes, live music and exhibits to explore sounded like a fun way to spend Halloween. Although most Halloweens I’m good with just watching a scary movie and staying in. 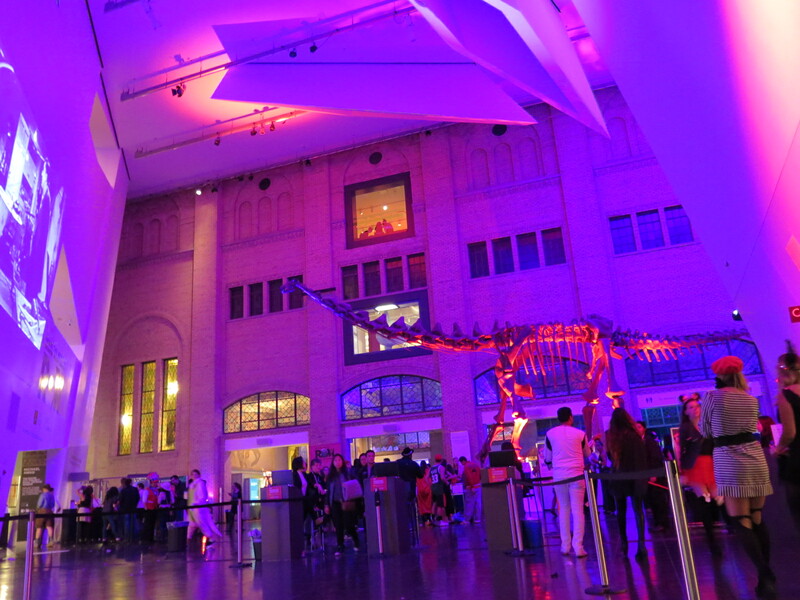 Friday Night at the R.O.M: Boo! We spent a good chunk of our evening getting ready and trying not to rush ourselves because we both had long weeks and felt like we needed to just slow down before heading out again. It was the weekend after all and didn’t want to stress ourselves out with trying to get there early. We got there for the last 2 hours or so. If you’re planning on going, I would recommend going earlier so you can check out all the different rooms and levels. A good friend had asked me a few weeks earlier and I didn’t figure out my costume until 2 days before. A costume wasn’t necessary but I figured it was Halloween, so I might as well wear something I might not otherwise wear for the fun of it. My only two criteria was I wanted to feel comfortable and I wanted items I could use again. 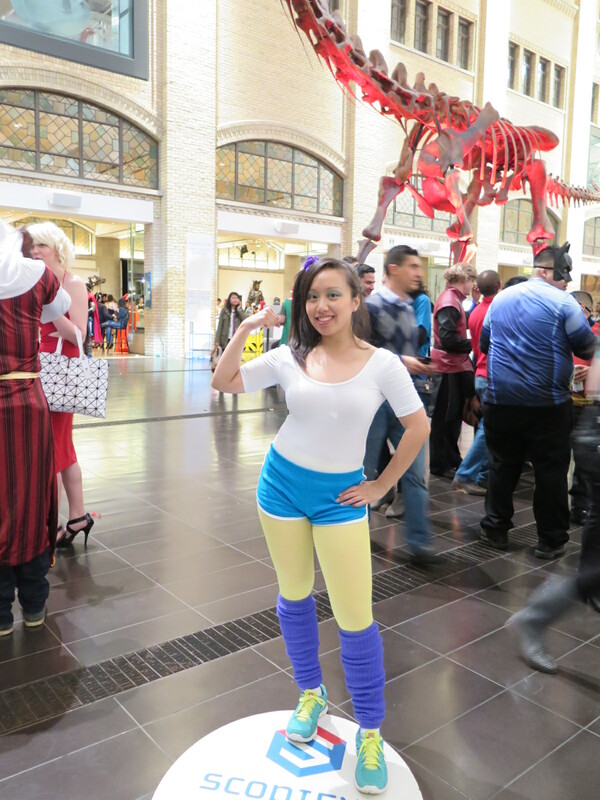 My 80’s inspired aerobic costume came about while tossing around ideas with a friend one day and getting lots of great advice from a sales associate. I decided not to do the headband because although classic it would probably bug me. 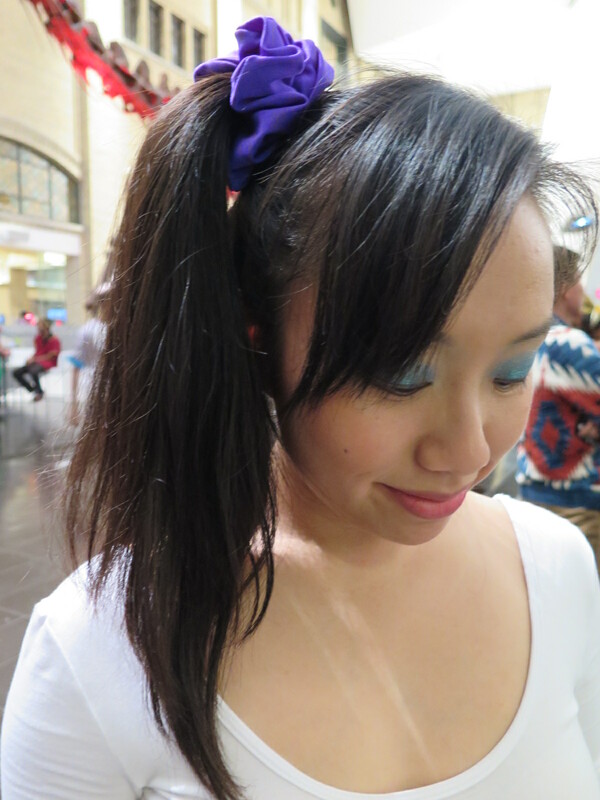 So, I opted for a scrunchie and high side ponytail instead. Close up of my makeup. My favourite feature to dress up is the eyes. I used a new bright blue eyeshadow my friend got as a gift from Sephora because my regular makeup was too plain for this costume and just put it on real thick. 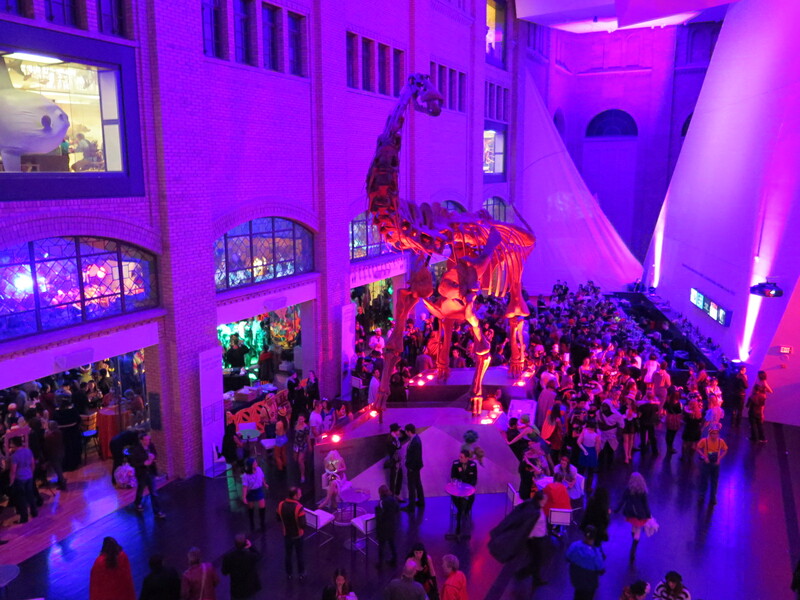 There were many wonderful creative costumes which made the night feel even more magical. Lots of Mario and Luigi’s, little red riding hoods, Chung Li, Cops and Swat agents and lots of more. We both felt inspired by the sea of costumes we saw and want to prepare earlier for next year’s Halloween festivities. 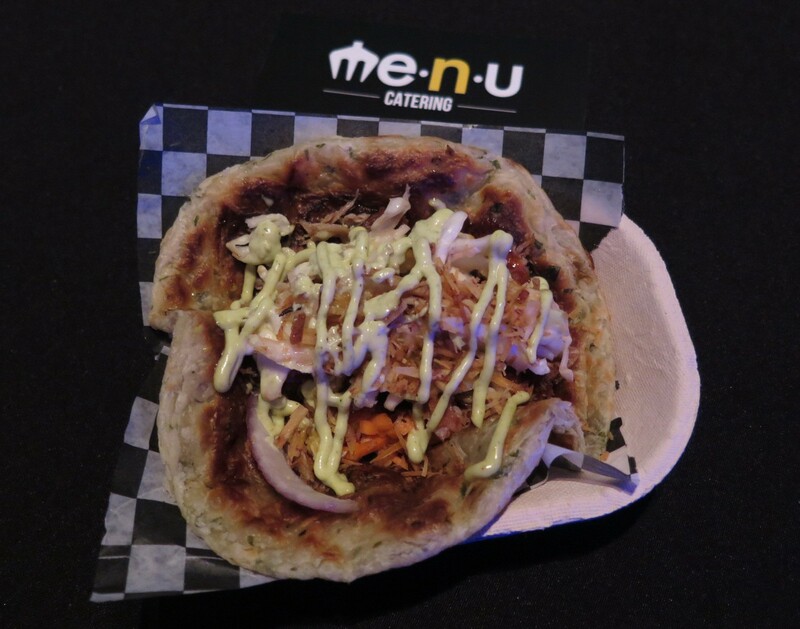 This was ME.N.U Food Truck’s pulled pork roti. 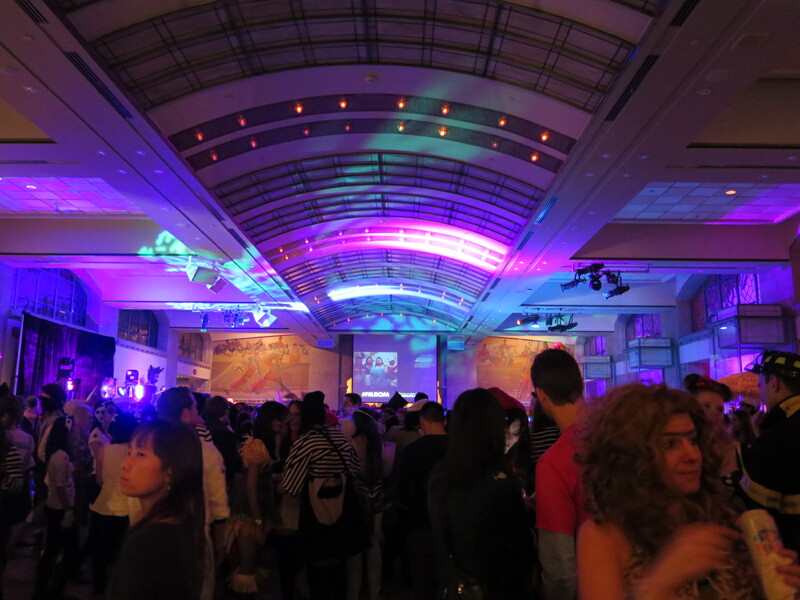 Dance area on main floor. Love the lighting. What did you do for Halloween? What did you dress up as? Any scary movies?